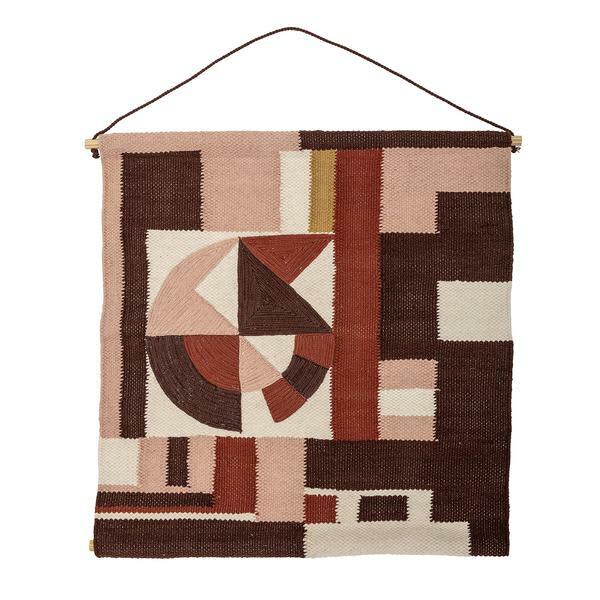 A modern Scandinavian take on the 1970's wall hanging. In warm berry and blush hues, the perfect addition to any mid-century inspired home. Woven cotton wall hanger.